Learn about Germany’s amber beer styles; from Märzen and Kellerbier to Roggenbier. A brief history and vital statistics about each amber ale or lager style. This part of the German Beer Styles Tour covers amber coloured beers. Learn a little about traditional German amber styles like Märzen and Kellerbier, now being produced by craft breweries around the world. Märzen (translation: March) beer has been a German tradition for hundreds of years. It was typically brewed in the early spring (March) and stored away in caves over the following few months, to be released for Oktoberfest and other fall festivals. Usually higher in alcohol, sitting at around 6% ABV. The use of Munich malt provides the copper to amber colour, and decoction mashing contributes to character and alcohol content. The result is a toasty, malty, medium bodied, almost sweet tasting lager, with minimal noble hop presence in aroma and flavour. This style has evolved over the years where the modern versions are now much paler in colour and often fall in the Festbier variety, rather than a true Märzen. Many breweries, especially North American craft breweries, now release Oktoberfest beers which mimic this style without the aging process. As a result, the style has a wide range of colours as well as alcohol strengths. 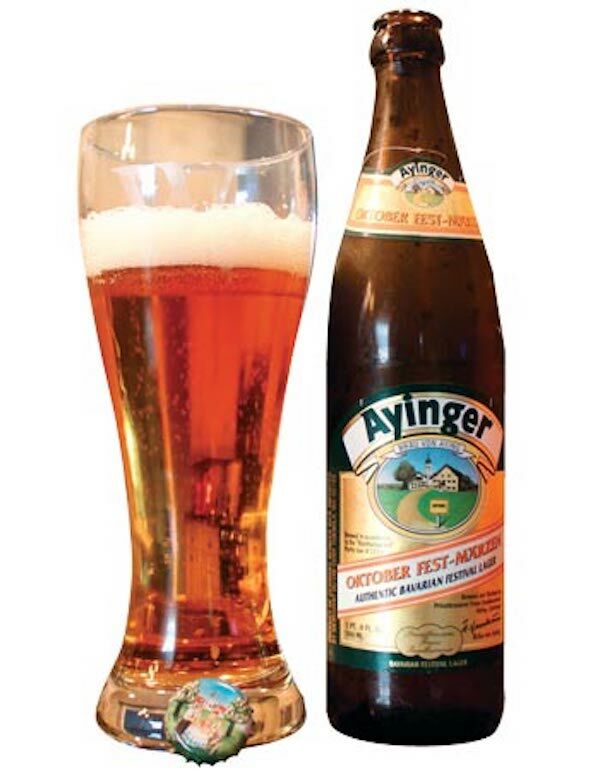 Pictured: Ayinger Oktober Fest-Märzen. Rauchbier (translation: smoked beer) is the famous smoked beer of Germany, now identified with the city of Bamberg. Before the drum roaster came into use in the early 19th century, malt often had a smoky quality to it making this a common style of beer. Today, rauchmalz (beechwood-smoked malt) is a specialty malt, used in smoked beers brewed all over the world. To a lesser degree, oak smoked malt may also be used. This category actually can include many different styles of beer as it is this particular smoked malt that makes them unique. The colours are generally amber to dark brown with the intensity of the smoky aroma and flavour fluctuating from beer to beer. This is based on the amount of rauchmalz used, which can vary from 20-100%. The Rauchbier category is still full of medium bodied, malty, and low hopped, with their innate character being redolent of a campfire. Modern craft breweries are now brewing coveted rauchbiers in numerous styles. 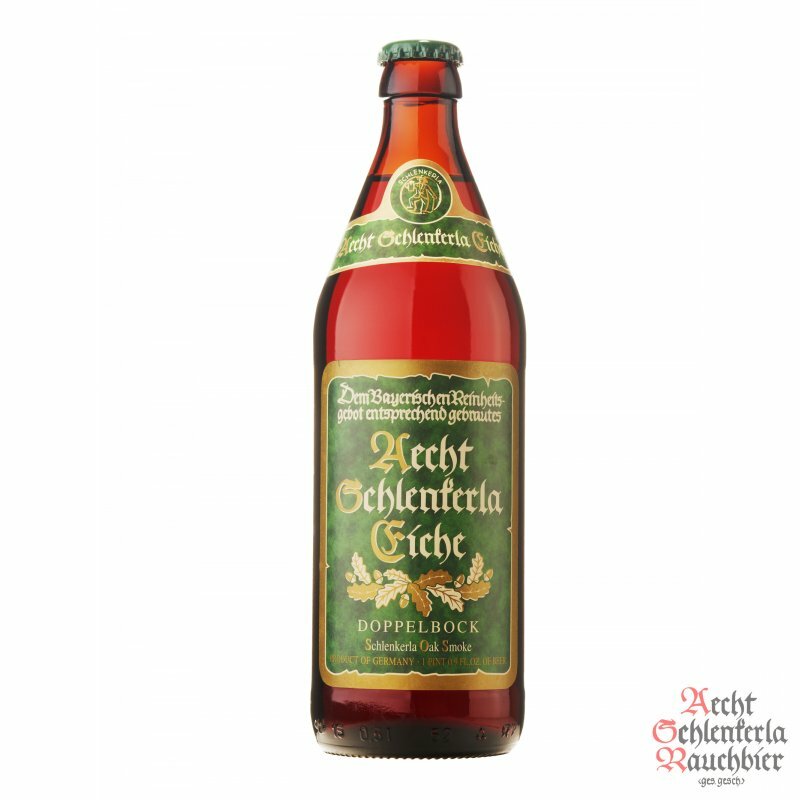 Pictured: Schlenkerla Rauchbier Doppelbock. The original kellerbier (translation: cellar beer) that came from Franconia were lagers stored underground or in caves to be served straight from the aging barrels. Historically, they used to mature through the summer, but the style shifted to younger versions as refrigeration became more prevalent in the late 19th century. They can represent any base beer style, and thus the colour can range from pale to brown. However, certain characteristics are common to all versions. As young, unfiltered, less conditioned beers, they are normally cloudy and tend to be hopped more than most lagers, so they have a floral, spicy aroma and flavour. Modern versions brewed outside Europe tend to use the kellerbier name now more as a marketing tool, rather than adhering to any ancient German decree. Pictured: Mönchshof Kellerbier. From its birthplace in Bavaria, Roggenbier (translation: rye beer) has seen a revival thanks to craft brewing. Very few, if any, breweries in Germany produce this beer today, where malted rye becomes the majority of the grain bill. Rye is a difficult grain to work with because of its lack of husk. That means a stickier mash which is harder to lauter. Because of this, craft breweries worldwide producing rye beer often have a smaller percentage of rye making up the grain bill. Normally made with slightly darker coloured malts, weizen yeast and noble hops, the resulting brew is a dark, full bodied beer with banana, vanilla and clove esters. The rye provides an astringent flavour separate from the hops. Because large amounts of rye can dominate the flavour profile, craft breweries tend to use it judiciously. A traditional Roggenbier is turbid (cloudy) because it pre-dates filtration systems and is often highly carbonated. Pictured: Steel & Oak Roggenbier. Through an amalgam of the Beer Judge Certification Program (BJCP) and the American Brewers Association Guidelines, this series will explore various beers styles which originated in different countries by examining their historical context and basic ingredients. This will also include a description of their various attributes of appearance, aroma, and taste plus a basic notation of the styles’ approximate vital statistics of ABV, IBU, and SRM. Germany has over 1300 breweries and 7500 different brands available. They are the world’s fourth largest brewing country, and have created a large variety of beers which have become staples in breweries all over the globe. We will begin with those styles which are designated as “pale” in colour. While sometimes designated as “European” or “International”, because they are now brewed all over the world, their birthplace was Germany. This includes varieties within the International Lager, Pale Malty European Lager, and Pale Bitter European Beer categories. While all similar in colour, the main difference is the amount and kinds of hops in their recipe. This Beer-Education series has been researched and written by David Nuttall. David Nuttall completed the Beer Judge Certification Program (BJCP) in 2012, has served as Epicurean Calgary owner and president since 2002 and is the current Judging Co-ordinator for Calgary International Beerfest. If you’re interested in learning more about beer, you can register for the 4 week ABF Brew Ed course at The Brewer’s Apprentice. 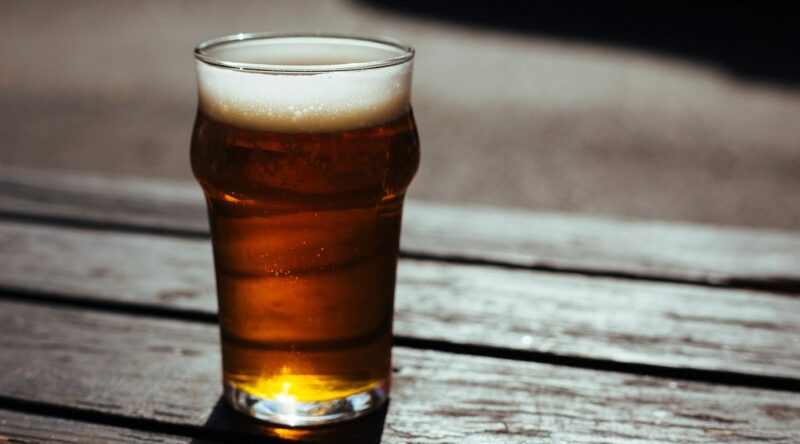 Strong Ales: where they come from, their appearance, flavour & aroma, palate & mouthfeel, food pairings and serving suggestions are all explained in this Beer Styles 201 article. Dive in to Germany’s dark beer styles; from doppelbock and dark lagers to schwarzbier. A brief history and vital statistics about each dark ale or lager style. Porters: where they come from, their appearance, flavour & aroma, palate & mouthfeel, food pairings and serving suggestions are all explained in this Beer Styles 201 article.